Six Degrees of Separation is a monthly link-up hosted by Kate at Books Are My Favourite and Best. Each month a book is chosen as a starting point and linked to six other books to form a chain. A book doesn’t need to be connected to all the other books on the list, only to the one next to it in the chain. This month the chain begins begin with a book that Kate says people may not have discovered, were it not for the hugely popular movie version – Laura Esquivel’s Like Water for Chocolate. I hadn’t discovered it at all until now! 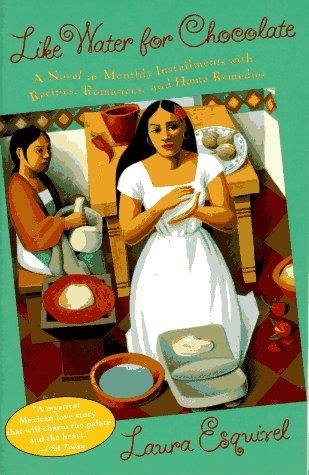 But I see that it’s a ‘bestseller’, a book about passion and the magic of food (including recipes), a tale of family life in Mexico. 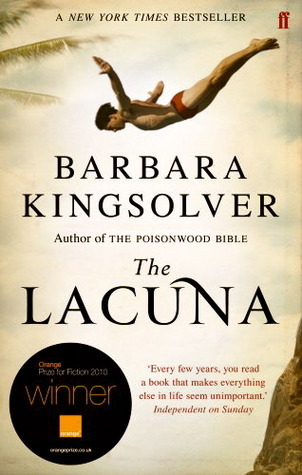 The Lacuna by Barbara Kingsolver is the story of Harrison Shepherd, the son of a Mexican mother and an American father and it’s told through his diaries and letters together with genuine newspaper articles, although whether they reported truth or lies is questionable. As you can see from the cover swimming plays a part in this book. As a boy, Harrison, loved swimming and diving into a cave, which was only available at certain tides, a cave that was there one day and gone the next – a lacuna. 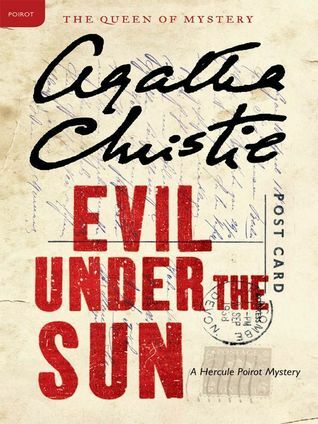 Swimming also features in Evil Under the Sun by Agatha Christie. Poirot is on holiday in Devon staying in a seaside hotel. It’s August, the sun is hot, people are enjoying themselves, swimming and sunbathing until Arlena is found dead – she’d been strangled. 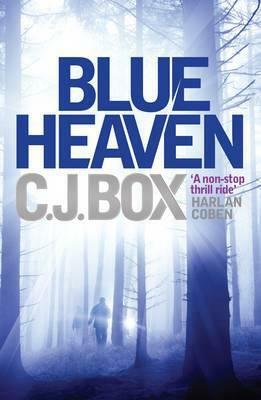 The next book in my chain is also crime fiction – Blue Heaven by C J Box. This is a story set in North Idaho about two children, Annie and William who decide to go fishing without telling their mother, Monica, and witness a murder in the woods. One of the killers sees them and they run for their lives. It’s fast-paced and full of tension right to the end. 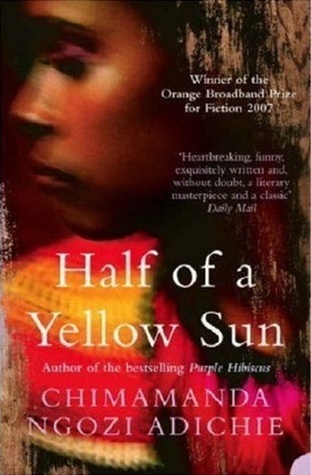 I chose Half of a Yellow Sun by Chimamanda Ngozi Adichie as the next link, a book that also has a colour in its title. It’s based on the Nigeria-Biafra War of 1967 – 70. Focusing on the struggle between the north and the south, the Igbo, Yoruba and Hausa people, it brings home the horrors brought about by war, the ethnic, religious and racial divisions and the suffering that results. It is also a novel about love and relationships, a beautiful and emotional book without being sentimental and factual without being boring. 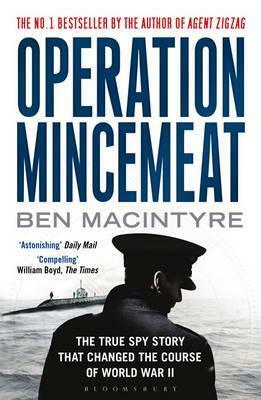 Another book about war, but this one is non-fiction about a spy operation during World War Two – Operation Mincemeat by Ben Macintyre. It’s about the Allies’ deception plan in 1943, code-named Operation Mincemeat, which underpinned the invasion of Sicily. It was framed around a man who never was. I thought it was so far-fetched to be almost like reading a fictional spy story. I marvelled at the ingenuity of the minds of the plans’ originators and the daring it took to carry it out. Operation Mincemeat led me to think about a fictional spy in The Spy Who Came in from the Cold by John Le Carré. This is set in the Cold War period in the 1960s and tells the story of Alex Leamas’s final assignment. It’s a dark, tense book and quite short, but very complicated; a story full of secrecy, manipulation, of human frailty and its duplicitous nature. What a journey! My chain moves through time and place – from Mexico to Devon, North Idaho, Nigeria, Sicily and Berlin. It encompasses fiction and non-fiction and takes in several wars. All, except for the book that starts the chain, are books I’ve read and enjoyed. Six Degrees of Separation is always fascinating to compile and I’m always surprised at where it goes and where it ends up. Who would have thought that a book about family life in Mexico would end up linked to a spy novel about the Cold War? I enjoyed your links Margaret, and I’ve read two of them – the Adichie and Le Carre. I’ve also read quite a bit of Kingsolver, but more her early books than her more recent ones. I was surprised to see Le Carre in your title and wondered how you were going to get there! I’ve read a few of Kingsolver’s books, but my favourite is still The Poisonwood Bible! Yes, I really liked that one too. It’s hard to forget, isn’t it? I’ve heard of several of the books in your chain, but the only one I’ve actually read is Half of a Yellow Sun, which I loved. Did you enjoy The Lacuna? I’ve read another one of Barbara Kingsolver’s novels, but not that one. I was a bit disappointed by The Lacuna. I thought it was well written and well researched but I felt there was something missing, the personal elements that brought the story to life for me were few and far between. But I did find the historical parts very interesting. It is amazing where we go with our various #6degrees isn’t it? It’s also a great way to explode one’s TBR wishlist! Have you read the new le Carre yet? I’ve heard good things about it. Brona, I agree – I keep reading about so many books that look very enticing. 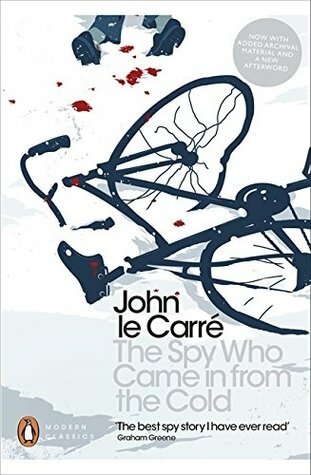 I haven’t read the new Le Carre yet – I think I should read the earlier books first, beginning with Tinker, Tailor, Soldier, Spy which I’ve been meaning to read ever since I watched the TV version years ago. Great chain Margaret. Oddly, I have a bit of a thing for books about swimming (I know, it sounds strange when I write it like that but there are actually quite a few novels about swimming) and, despite having The Lucuna sitting in my TBR stack for years and years, I guess I’d forgotten it was a swimming book! Will have to move it up the pile now (suspect I bought it because I enjoyed The Poisonwood Bible so much). Kate, the swimming and diving episode is very interesting – I hope you’ll enjoy The Lacuna, but I don’t think it’s as good as The Poisonwood Bible. Yes, loved both of those books. Yes, me too. I’m not specifically interested in swimming (though I love watching swimming events at the Olympics) but I’m interested in how novelists might write about sport. Agree. Writing about swimming takes a particular skill I think, as does writing about water. Very clever, Margaret! And I do hope you’ll get the chance to read Like Water…. It’s an interesting story. The rest of your choices are varied and creative, too. I’m impressed. Margot, I’m planning to go secondhand book shopping next week – so I’ll look out for Like Water etc. What a varied chain! The only one I’ve read is Half of a Yellow Sun. Your description of it is spot on. I always love reading your 6 Degrees of Separation posts–such fun. Loved Like Water for Chocolate and have been meaning to reread it for years. The Laguna was interesting but not great, imo. Operation Mincement and Spy Who Came in from the Cold are both in my TBR pile–I’ll probably read Mincement sooner than Spy because I’ve heard the later can be a challenging read.